Call recording is needed today more than ever due to increased legal requirements, security, concerns and training needs. Small and medium businesses have the same requirements as large companies, but had never been able to afford call recording. VoiceMailTel provides Call Recording feature for small and medium businesses. Call Recording is used to improve customer service, resolve customer disputes, enhance employee productivity, and meet legal and contractual Call Recording obligations. Recorded telephone activity provides a degree of legal protection to both the company and the consumer. 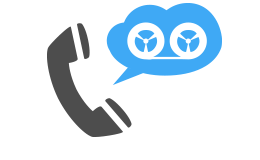 Don’t lose customers or risk expensive lawsuits over disputed telephone conversations. Research shows that, of all means of communications, telephone conversations are the most problematic. That’s because spoken words can be misunderstood and memories fade. Typically, there is no record of the phone call to review. And with more and more transactions being done over the telephone, how can you protect your business from misunderstandings or outright misrepresentations? You can protect yourself with call recording. With VoiceMailTel’s call recording you don’t have to worry about taking notes. And you don’t have to call back because you forgot an important detail. You act professional. This is a feature that records your conversation. Once a call is connected, press *7 to begin recording the call. Press *7 again (or hang up) to stop recording. Recordings are saved in your online portal and can be accessed just like voicemail. See also automated call recording feature ! How do I use the Call Recording feature? Contact us today to find out more about VoiceMailTel’s Call Recording feature.